Would you like some of Regino's Tomato Sauce? Please don’t spam the profile posts. Did you know that most lion roars in various media are actually tiger roars because lion roars are less loud and pronounced than what most people think? Sir AFK, RavageTheSavage and Nike Leon like this. I have a problem: my friend want to comment to my new thread but i cant because he "dont have enough privilege" how will he be able to comment? Stop saying the same question, and wait for someone to answer on ONE profile post. not 3. Nike Leon and Daikonradish like this. Hope it's a good Birthday. You've Leveled up and have access to the next lion dungeon! Can you become our new president? So I guess ethical thoughts I have are not allowed? I mean like ones that do not involve any hatred, because it’s obvious that that’s not allowed. Ajit Pai and his mug are becoming ever increasingly slimier every day, I swear. Also, seem to suffer from some form of insanity. Bare basic, they are trying the same thing over and over again with the expectation of a different result. Does that little guy's arm ever get tired from going up and down all day? Sir AFK, Hypalaser, TTSp00k the Invincible and 1 other person like this. Why can't people just make an ocram mod? Don't you know it's dangerous to poke a lion? *takes a finger with the steak* hmm good stuff! I really hope we get flying cars soon. Traffic is a PITA. TTSp00k the Invincible, Aurora3500 and FlyKip like this. Fusion energy would be far less harmful, and molten salt batteries would be nice too. As for implementing them in to vehicles, it makes size go up pretty far. 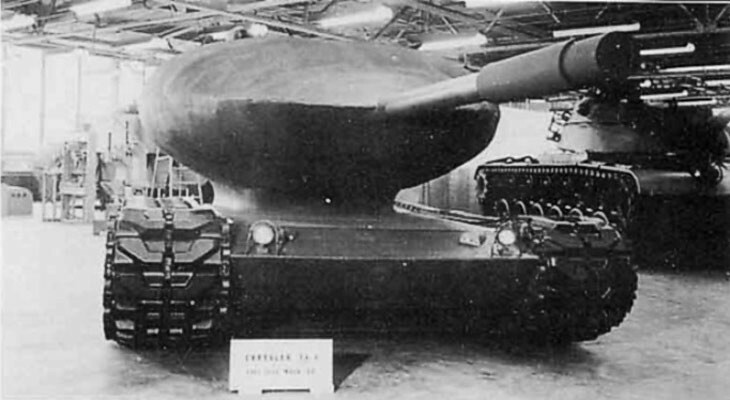 Take this tank, for example, and do note the reactor was to be in the turret. ...or icebreakers (may get stuck in ice despite name, often for months), although there are things like experimental vessels, such as a cargo vessel powered by a nuclear reactor, or several large warships, though most things that aren't aircraft carriers seem to have switched back to conventional propulsion. Nuclear marine propulsion - Wikipedia Page on it for further reading. I'm still working on a video series for my YouTube. Hopefully I can get them up soon. For video and stream announcements you can follow my Twitter. Reporting Console and Mobile bugs directly to 505. Bug discussions for Console, 3DS, and Mobile. Site(s) not working? Head to their bio for phone support contact info. (Console)What have you yet to achieve? Hey folks! For those of you who don't know I joined TO last year in November. Originally I discovered Terraria years ago (before 1.1) through Tobuscus's Tobygames LP, watched every episode! Then I bought it as soon as it came out for Xbox and logged tons of hours. It wasn't until the 1.2 update that I snagged it on PC and then discovered the TO forums. Anyway, I've always done my best to bridge the gap between the PC and Console community and I hope I can do an even better job at it now with my new position here on TCF. Feel free to contact me if there's something I can help you with on the forums and I'll do what I can, but may not be all that quick about it considering my duties XP. Well enjoy the forums my friends!